A pipeline explosion occurred around 4:15 am on June 7, 2018, on TransCanada’s Columbia Gas (TCO) Midstream pipeline. 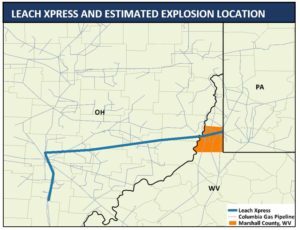 Although the exact location remains unclear, the incident may be related to an explosion on a well pad or line in Marshall County, West Virginia. Shortly after the pipeline explosion, TCO issued a critical notice declaring Force Majeure. According to the pipeline company, volumes flowing through the LXPSEG MA41 constraint will be reduced to zero total capacity starting gas day Friday, June 8, 2018, timely cycle. TCO did not specify how long this Force Majeure will last. Over the last 60 days, flow volumes via LXPSEG MA41 have averaged above 1.4 BCFD (chart below). 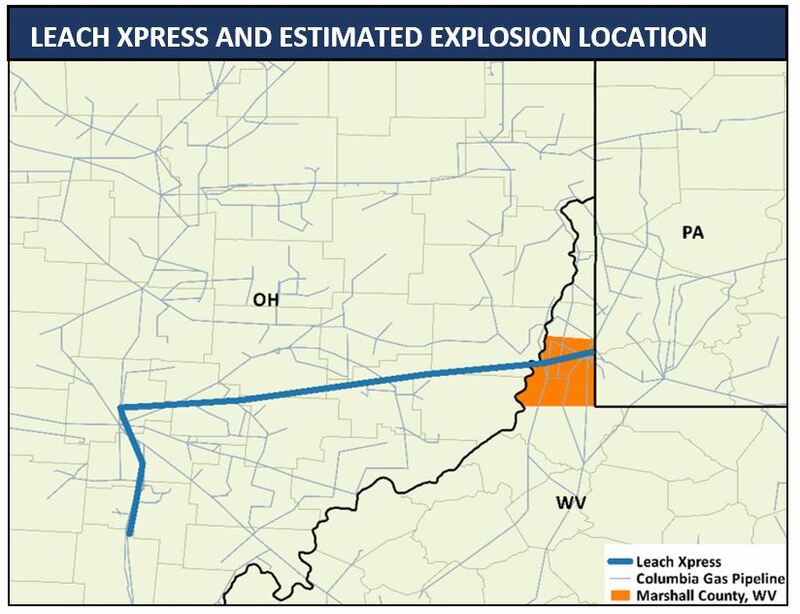 In late May, planned maintenance on the Lone Oak and Leach Xpress segments cut flow to 300-400 MMCFD, which put downward pressure on producing hubs like Dominion South as Northeast gas lost an essential outlet through Leach Xpress. On the other hand, this planned maintenance provided a small uplift to downstream hubs such as TCO Pool due to the reduced supply. As this Force Majeure is expected to have a larger impact on pipeline flow, it could put further bearish pressure on Dominion South and bullish pressure on TCO Pool and even downstream hubs such as Columbia Gulf Mainline. The disruption to production could also have a bullish impact on Henry Hub in the short term, though the price impact may be muted once production is rerouted through TETCO, REX, and Rover. For more information on the U.S. natural gas industry, please refer to EVA’s Energy Trader Dashboard – Natural Gas, as well as EVA’s Monthly Short-Term Natural Gas Outlook.